Get your MIX app and send us your message! Update your MIX app for some cool new features! By all means, if you don’t have the MIX app, get yours today by visiting your app store on your phone! It’s free, of course!!!! You can play MIX from your app. You can call the station! You can vote for your favorite song! Be sure to turn on PUSH notifications, because we will let you know when we are running the touchtones and other important things that you DON’T want to miss!!! AND, you can record a quick message, like on Snapchat or Instagram, just your voice though!! You can comment on a subject Rick and Lisa are talking about. You can request a song for Courtney’s cafe, and you can check in with Artie and Ryan. Try it! It’s fun and easy!!!! We might even use your voice! Woot! Woot!! 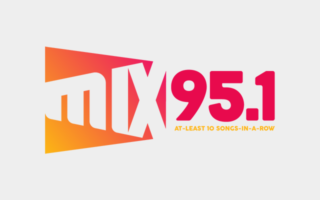 Lots of new features added all the time…so, listen everywhere on your phone by using the MIX App. Get yours right now!!!! !